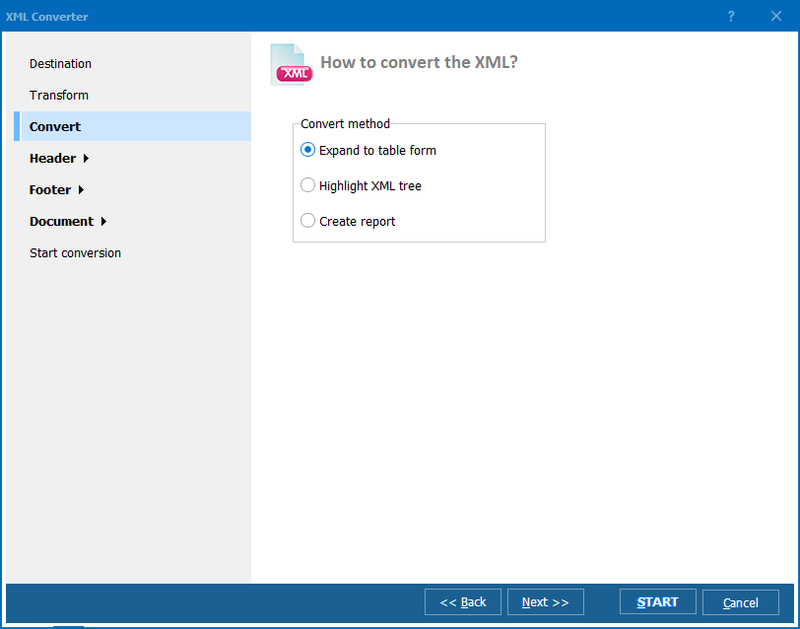 Convert XML to XLSX like a Pro! 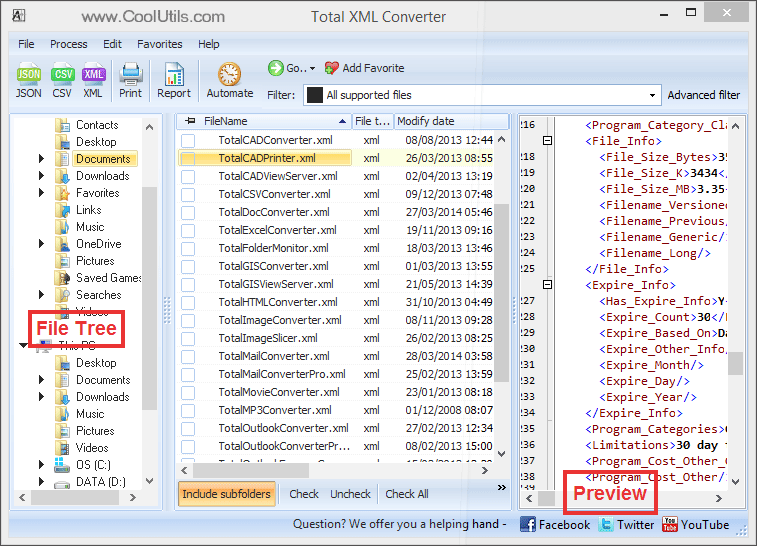 You are here: CoolUtils > Total XML Converter > Convert XML to XLSX like a Pro! Do you have XML files that you'd like to feature on a website? Unfortunately, it's a little more complicated than simply hosting the file. In order to display XML online, it first needs to be converted to the XLSX format. This is a challenge lots of coders and web designers find themselves up against these days. 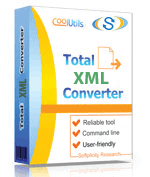 Fortunately, with the Total XML Converter you can convert XML to XLSX and a variety of other useful formats! Our intuitive user-friendly interface will walk you through the process. Convert multiple XML files in batch. Format XML into human-readable text. Access the command line directly. Control image to page size ratio. Include custom text elements (site URL, copyright info etc.). And so much more! 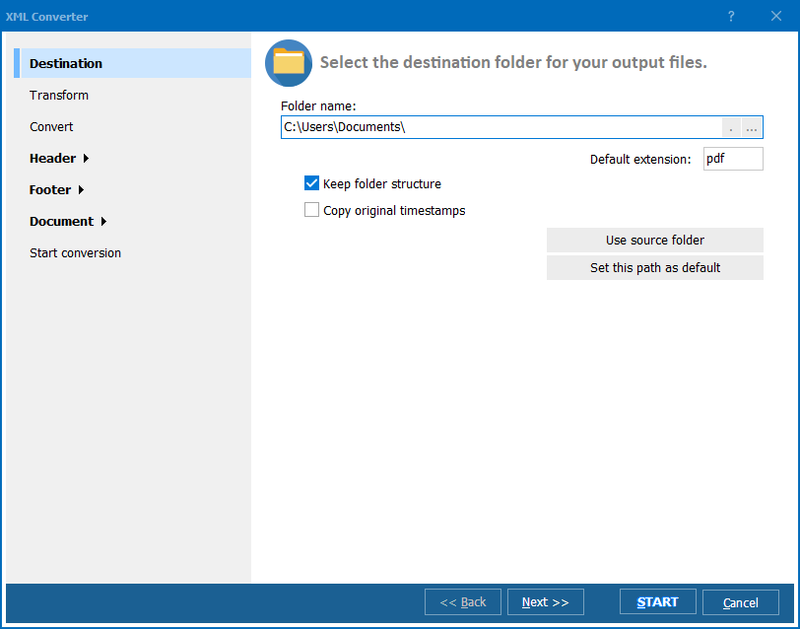 With the Total XML Converter you'll be able to convert your XML files to a variety of other file formats (JSON, CSV, PDF, DOC, and TIFF to name a few). You see, our design philosophy centers around utility and flexibility. We specialize in creating tools that help you to do the things you need to do -- easier and faster. Don't take our word for it, download your FREE trial version today! You'll have 30 days to check it out and see what you think. If you decide to buy, a lifetime license is just $39.90 and includes a year's worth of updates for free.